What are your plans for the day, the week, the weekend? We often make time to think about upcoming events and plan activities so we can most enjoy them. But what if you could no longer make or share your own choices? Governor Bill Lee has proclaimed April 16, 2019 Healthcare Decisions Day in Tennessee to encourage Tennesseans to make plans for their healthcare in the event they cannot make or communicate their decisions. "No one expects to be incapacitated or unable to communicate due to an accident or medical issue, but it happens every day. 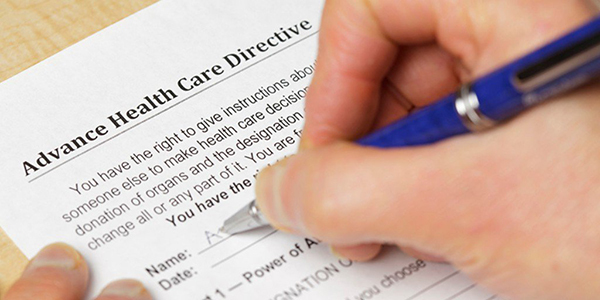 We urge Tennesseans to think about the type of care they want and to share their choices with others by completing an advance directive," said Tennessee Health Commissioner Lisa Piercey, MD, MBA, FAAP. Piercey shares more information about National Healthcare Decisions Day, an annual event to inspire, educate and empower people about the importance of advance healthcare planning in this video: www.youtube.com/watch?v=oZsDRb0PpwI&feature=youtu.be. An advance directive is a document that tells family members and care providers a person's wishes for care if he or she cannot make decisions or communicate. The Tennessee Department of Health is a partner in Honoring Choices® Tennessee and the AdvanceDirectivesTN initiative in working to increase the number of Tennesseans who have an advance directive for healthcare. HCTN is a statewide coalition of government, private industry, non-profits, healthcare systems and other groups committed to encouraging Tennesseans to think about, discuss and plan end-of-life decisions in advance. "This year, Honoring Choices® Tennessee is taking its message to the workplace and the worship place," said HCT Executive Director Phil Martin. "Our research found less than one-third of adult Tennesseans have executed an advance directive, and those who have not believe the topic should be included in discussions about employee benefits at work, as well as in the faith community." Events are planned in local communities across the state around Healthcare Decisions Day to increase awareness of the importance of advance care planning for health and medical decision making. Employers, faith-based organizations and others wishing to access Honoring Choices® Tennessee resources can visit www.advancedirectivesTN.org or call 615-268-8000. The website includes step-by-step instructions on creating an advance directive. "We applaud Tennessee's National Healthcare Decisions Day efforts to encourage people to talk about their wishes for how they want to live at the end of life," said Rev. Rosemary Lloyd of The Conversation Project. "Bringing programs to people in their congregations and workplaces makes so much sense. Talking in these familiar settings helps to normalize having 'the conversation' about what matters most before a medical crisis occurs." The Conversation Project, part of the Institute for Healthcare Improvement, was launched in 2012 to enable people to talk with family members and friends about what they want when it comes to end-of-life care. Learn more at https://theconversationproject.org/. The mission of the Tennessee Department of Health is to protect, promote and improve the health and prosperity of people in Tennessee. Learn more about TDH services and programs at www.tn.gov/health.